To FBI agent Max Dolinger, the world is black and white. He doesn’t make moves on a buddy’s girlfriend, doesn’t turn the other way when a wrong has been committed and definitely never fights to keep criminals out of jail. Then a desperate Sara Reynolds, now his buddy’s ex, sweeps back into his life pleading for help. Sara needs Max to find his friend, who’s missing along with thousands in cash. And, oh yeah, Sara’s younger brother could go to jail if Max fails. 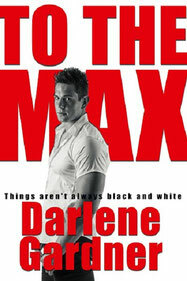 Trouble is, Max thinks there’s a pretty good chance Sara’s brother belongs in jail. But how can he refuse to help Sara, even if it means his principles will be tested to the max? And by sticking to them, he could lose the only woman he’s ever truly needed?